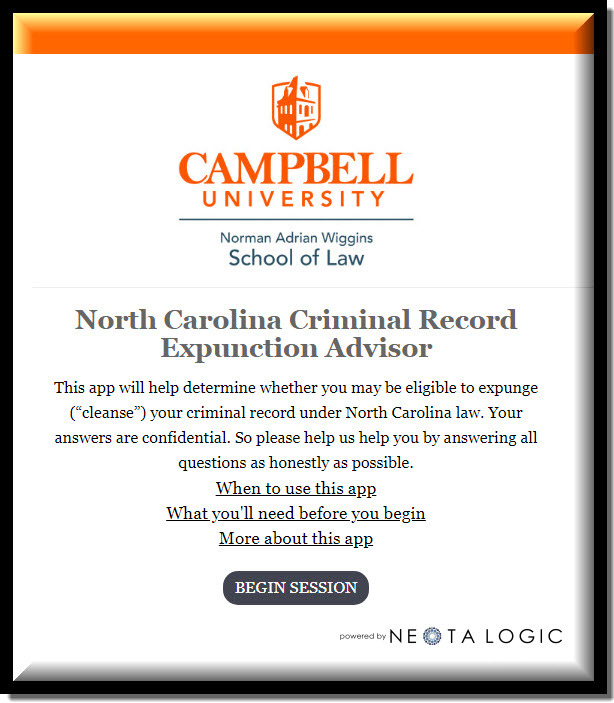 RALEIGH – Campbell Law students are working with Neota Logic to develop an app specifically for the Blanchard Community Law Clinic to aid in the recent increase in criminal record expunction requests — more evidence the law school is blazing trails in legal technology. In December 2017, North Carolina implemented drastic changes in its expunction law, to include reducing the misdemeanor convictions wait period from 15 years to five years; the felony convictions wait period from 15 years to 10 years; and eliminating a limit on the number of dismissals that can be expunged. 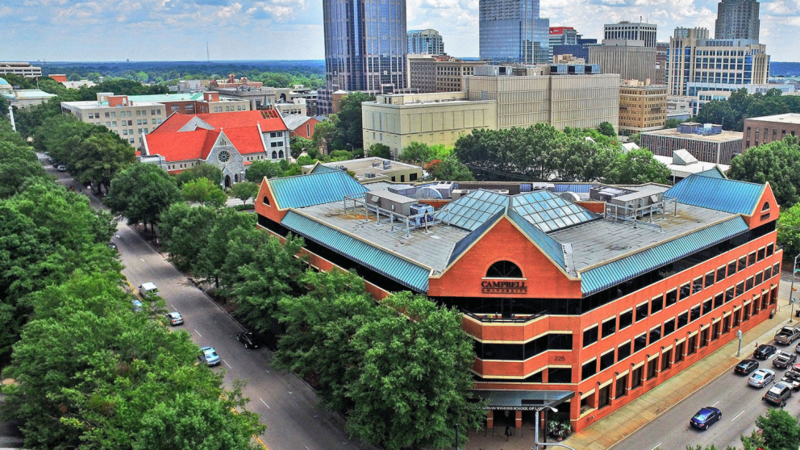 This change has resulted in a significant increase in the number of residents seeking help through the clinic and other providers such as Legal Aid of North Carolina (LANC), explained Ashley Campbell, director of the law school’s Blanchard Community Law Clinic. 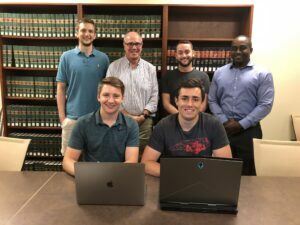 The new application is the brainchild of Adjunct Professor Tom Brooke, who saw the opportunity to marry technology with this growing legal need with the help of some creative law students. A partner in Brooke & Brooke Law in China Grove, North Carolina, Brooke is a 1980 Campbell Law graduate and current chair of the North Carolina Bar Association (NCBA)’s Committee on the Future of Law. He’s also the founder of N.C. Legal Hackers and an experienced software developer with a background in developing web-based applications for the legal community among others. Allow the clinic to input data into the app and then have the app tell the clinic whether a person is eligible for an expunction AND create the form filing from the information. Brooke and his students used Neota Logic, a software development tool set for automating expertise, to create the app, which asks a series of questions and applies rules to evaluate the user’s eligibility for expunction under the new North Carolina laws. The first version of the app is ready for use on Saturday, Oct. 13, when expunction clinics will be held throughout the state. The Wake County Re-Entry Fair and Expunction Resource Fair will be held from 10 a.m. to 1 p.m. at Macedonia New Life Church, 2004 Rock Quarry Road in Raleigh. On the back on left Paul West, Adjunct Professor Tom Brooke, Logan Shipman and Gregory Davis. In front, Connor Purks and Taylor Langley. Through her role at the clinic, Campbell is helping lead the initiative along with Brooke and Professor Kevin Lee. Neota Logic partners with other law schools, including Georgetown, Cornell and University of Melbourne, to enable the schools to teach programming skills to students and improve access to justice through applications.